Customer experience (CX) is rising in importance within companies marketing strategy. Organisations that drive attention to customer experience enjoy increased revenue and repeatedly out perform their competitors. This all leads to optimizing customer experience to be one of the most exciting opportunities for marketeers this year. The Digital Marketing World Forum (DMWF) Global Expo 2019 running on the 23rd-24th May at Business Design Centre London, has Simon Miles, Coca-Cola’s Global Customer Director of Walmart International doing a keynote speech on how to put your customers first and how to define your CX strategy. This is all in the new track focusing on e-commerce, UX and CX disruptions and strategy. In the current, ever expanding and saturated business landscape, customer loyalty is becoming a increasing important tactic to cut through the noise. Loyal customers aren’t just great in the obvious way, they make their family and friends buy from you. The London #DMWF show also has a not to be missed, panel discussion on ‘customers Loyalty: How to Improve Retention in eCommerce with Personalisation & CX’. Brand consistency is companies’ biggest feet when it comes to customer experience and one which is rarely achieved with 94% of consumers claiming to be frustrated by disjointed experiences in their journey. Although this issue is perfectly understandable considering brands are made up of several, quite differing, silos – sales, marketing, digital, mobile and ecommerce management, as well as “behind the scenes” departments including inventory and supply chain management. Companies need to really utilise well-known resources such as mobile and customer feedback forms. 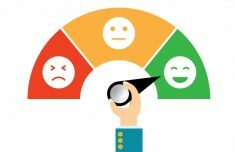 An outstanding 70% of companies delivering exceptional customer experience use customer feedback (ThinkJar) – which you’d think every company around the world would be taking advantage of this – seemingly not. And when it comes to interacting with a business for customer service and support, 78% of consumers use mobile devices, which increases to 90% when working with millennials (Genysys), whom are the future, so we marketers need to take note. The 2019 World Series announced they will be in London, Amsterdam and New York for another year, making 2019 the best event yet. The #DMWF Expo North America will be hosted in Brooklyn Expo Centre 11th-12th September and #DMWF Expo Europe will take place in RAI, Amsterdam on 25th-26th November 2019. Bringing together 1200+ worldwide senior digital marketers for two days of thought leadership, insights and practical sessions overlooking the challenges the digital market presents – alongside a whole host of networking opportunities. The agenda is filled with world-class case study led content, interactive debates, and Q&A sessions. #DMWF Expo offers a unique opportunity to be part of the industry-leading digital marketing technology event. Gain significant brand exposure and promote your company as a thought-leader alongside top-level speakers to an audience of worldwide marketing professionals.